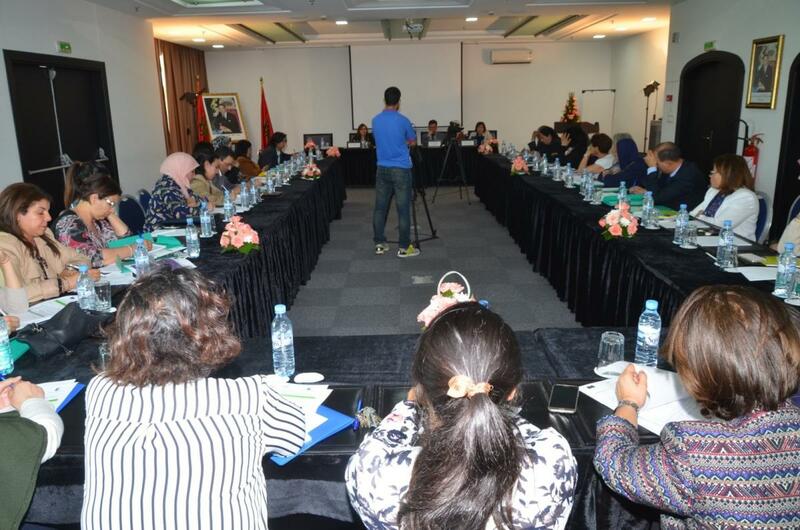 The national roundtable “From Ministerial Conclusions to Gender Equality Policy Making in the Euro-Med Region”, organised by the Union of Feminist Action UFA in partnership with Euromed Feminist Initiative with the support of the European Union, took place on 21st of April 2016 at Golden Tulip Farah Hotel, Rabat. The one-day event gathered representatives from civil society, members of parliament and stakeholders and discussed the policy recommendations for improving the status of gender equality, that have been developed during one year in the frame of the project “Gender Regional Platform” funded by the European Union. This national dialogue was part of the process to prepare for the 4th UfM Ministerial conference on women’s rights, scheduled to take place in Egypt in the fall this year. Ms. Zahra Ouardi, Gender Expert for Euromed Feminist Initiative, reminded the milestones of the one-year process of developing the Gender Regional Platform and emphasized the important role of the women’s rights organisations in leading a dialogue with decision makers and coordinating with all responsible parties in taking concrete steps towards making the policies into action. She expressed her hopes that these recommendations will support the adoption of stronger and more concrete Ministerial Conclusions at the upcoming 4th UfM Ministerial Conference. Ending discrimination against women and strengthening women’s participation. Reform education, changing gender stereotypes and attitudes towards gender equality. Ending violence against women, wars and occupation. Ensuring freedom and independent action of the civil society and support to women’s rights organizations. Ms. Soundos Lahlimi, Head of the Observatory for the improvement women's image in the media at the Ministry of Solidarity, Women, Family and Social Development, informed on the work of the Observatory. The latter is an established national mechanism for 2 years ago, composed of representatives of the ministry, civil society, professionals and academics. She added that the Observatory had recently started working on an innovative guide on women and media. 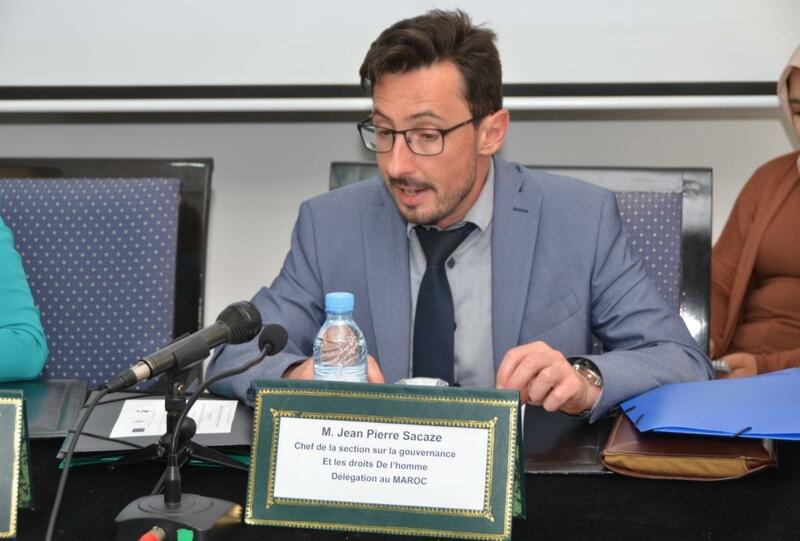 During the following session experts from the civil society, political sphere and the judiciary discussed ways to turn these recommendations into concrete actions in the Moroccan context. Even if progress has been made, it was noted that improvements are urgently needed in all the four spheres. Legislation and violence against women were in particular tackled. The connection was made between constitutional principles and their application in the laws. 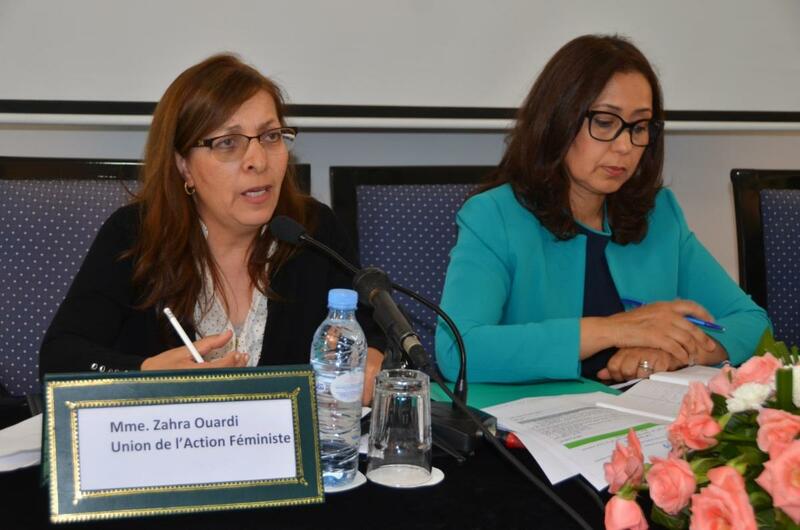 Even if Morocco is a signatory of all international women’s rights conventions, the allowance of interference of religion in laws makes the implementation of these conventions impossible. It was also noted that discriminative social culture cannot be changed without fully annulling legal discrimination. In discussing the draft project of law on violence against women, the role of the women’s movement was emphasized. The urgent need to redraft the law was raised, grounded in the Morocco comments to the international framework for women’s rights. Representatives from women's rights and human rights organizations stated that the government's achievements in the area of ​​equality did not live up to the ambitions of the women's movement. They also deplored the marginalization of civil society, which was not consulted in the preparation of a great number of laws. This jeopardized the establishment of a genuine dialogue on equality. In addition, the lack of coherence in policies adopted by various government sectors in terms of ​​women's rights and equality was highlighted. The connection was made between the policy recommendations and the need to exercise pressure to accumulate political will, and make progress in achieving Goal 5 on gender equality of the Sustainable Development Goals. Improved national coordination and dialogue among all relevant parties was recommended as one of the effective and needed tools to improved policy making and achieve changes on the ground. In the end the participants expressed their expectations that during the upcoming 4th UfM Ministerial Conference the ministers adopt more concrete and policy oriented conclusions in order to speed up improvements in the above areas.